New Attitudes Dance Studios has a fun and supportive staff that is thrilled to provide the very best to our Marquette and Alger County students. Our dance teachers are trained in all styles of dance including Ballet, Tap, Jazz, Flex, Hip-Hop, Ballroom, Performance, Lyrical and many more. Our staff is professional and well trained in their own individual styles. Each teacher offers students a higher education in specific genres of dance in a positive and nurturing environment. New Attitudes staff teaches on the theory that each student’s goals and accomplishments are endless. Through guidance and support from our teachers, students often surpass their own expectations. 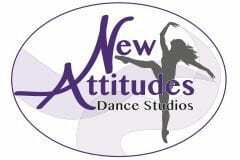 At New Attitudes we take pride in placing your dancer in the appropriate class by age and technical ability. We are happy to offer the very best in both dance training and self worth—instilling confidence and pride in each individual student as we teach them to dance and exceed their own goals.